Can Dashlane autofill HTTP authentication pop-ups? Can I use Dashlane in any Alpha, Beta or Nightly browser build? If the Dashlane extension in your browser is unable to connect to the application, this will result in a grayed-out impala icon. 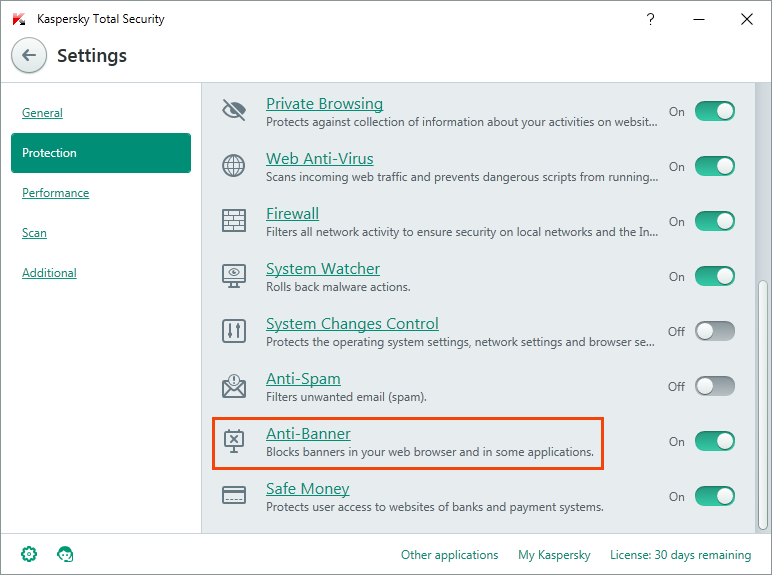 Firewalls, anti-virus software, network proxies and virtual private networks are most often the cause of connection problems with the Dashlane extension in your browser. You can use the guidance here to help you configure your application and extensions. If you don't use these kinds of software or if the guides below do not help, please refer to this article. Also note that if you are prompted to manually pair the Dashlane application and its extensions, but do not finalize this pairing, this will also cause your extension icon to be gray. In this case, simply quitting and reopening your browser will trigger the pairing process again. Go to your System Preferences and select Network. 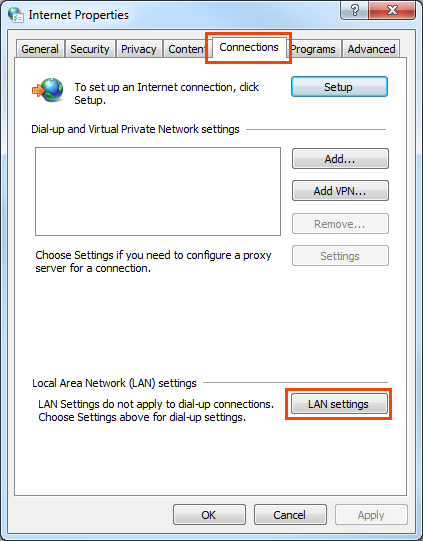 In the Network pane, select your primary network interface (typically Wi-Fi, or Ethernet if you have a wired connection). Click the Advanced button in the lower right corner of the pane, and select the Proxies tab. In the list on the left, enable Web Proxy (HTTP). In the Bypass proxy settings for these Hosts & Domains area, click to the right of the existing text, and type a comma followed by 127.0.0.1. 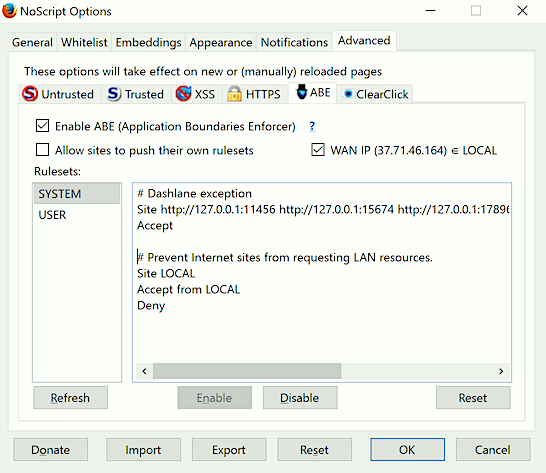 Click to the right of the existing text in the Bypass proxy settings for these Hosts & Domains area. Type a comma followed by 127.0.0.1 (as above). Select the Connections tab, then click the LAN settings button. 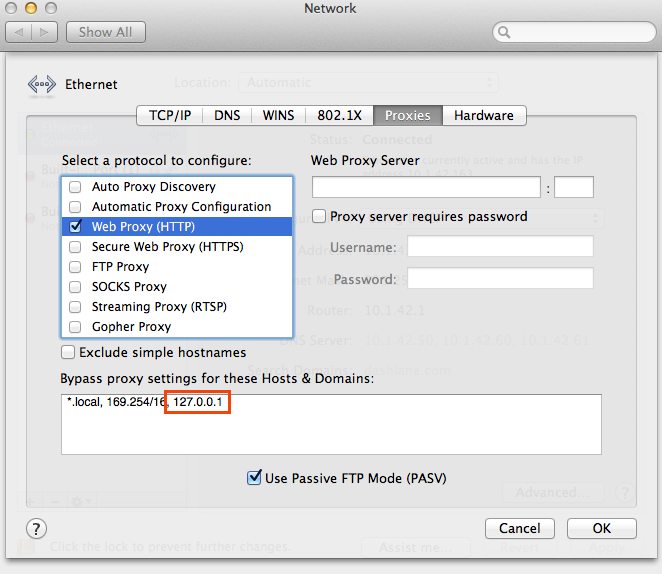 Enable the Bypass proxy server for local addresses option, then click the Advanced button. Under Exceptions, add 127.0.0.1 to the list of exceptions. Click the OK button to close each of the dialog boxes. 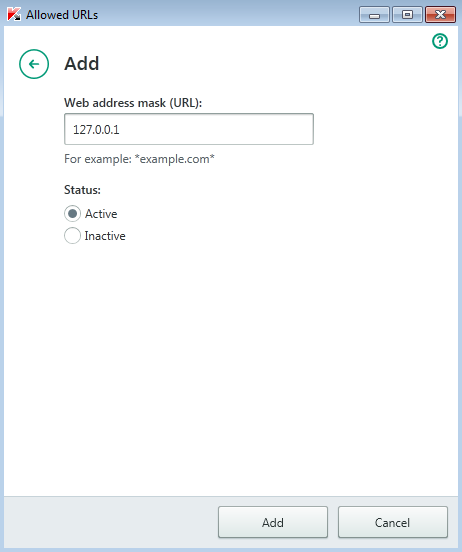 If you are using a Firefox proxy extension, you may need to also configure it appropriately. If you are using a command-line switch with Chrome to access your proxy, you can add the following to the end of the command to bypass the proxy: -proxy-bypass-list="localhost;127.0.0.1". 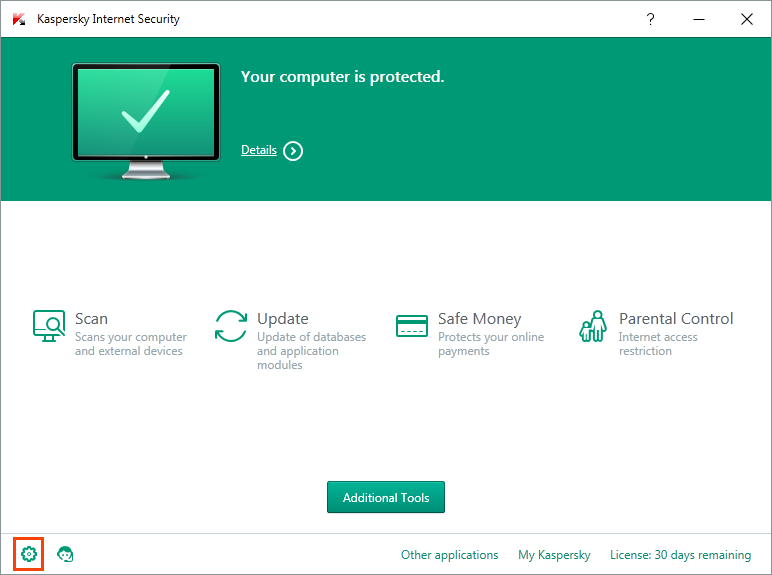 Like firewalls and proxies, an anti-virus software are often the cause of connection problems with the Dashlane extension in your browser. 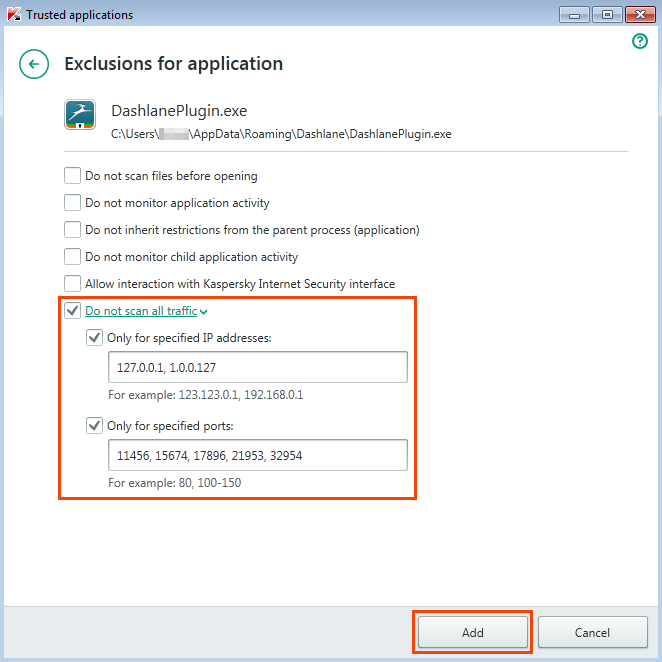 You need to allow Dashlane.exe, DashlanePlugin.exe and your web browsers to connect to localhost or 127.0.0.1. You need to allow communication on ports 11456, 15674, 17896, 21953 and 32934. If needed, you can allow all ports but it is preferable to limit to these specific ones. It’s often best to reboot to ensure the settings take effect. 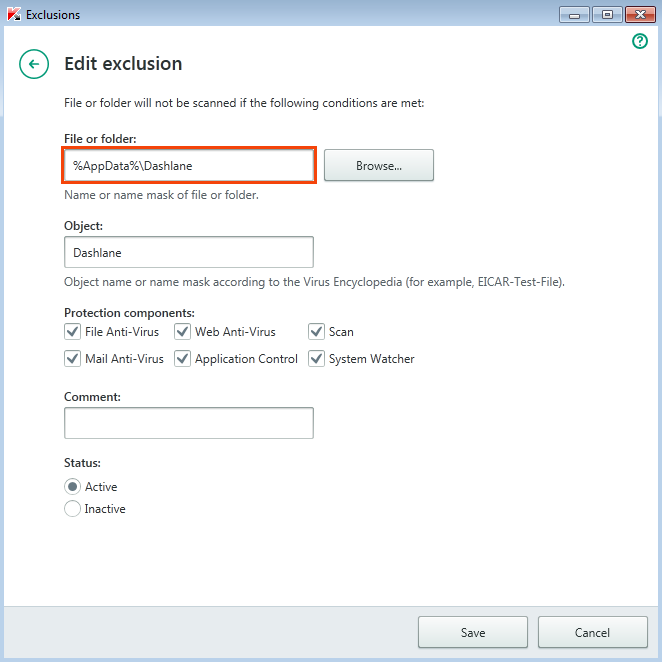 As we have received many reports about a specific anti-virus software, you will find below an example of how to add exceptions in case you have Kaspersky installed on your computer. 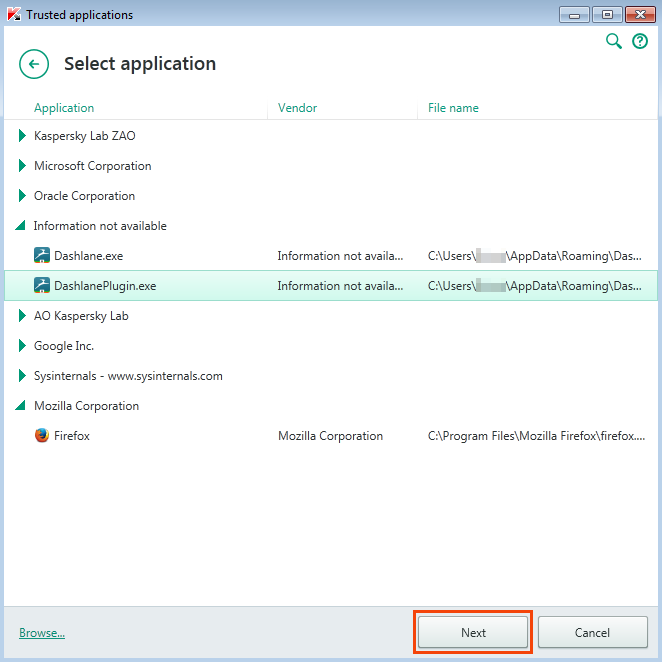 It has been reported that Kaspersky anti-virus may block the communication between the application and the extension. 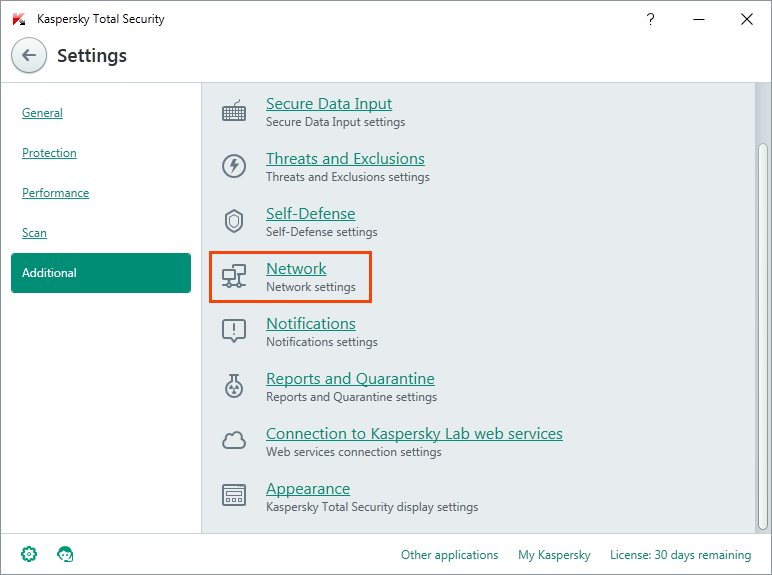 Open Kaspersky main window and go to Settings. 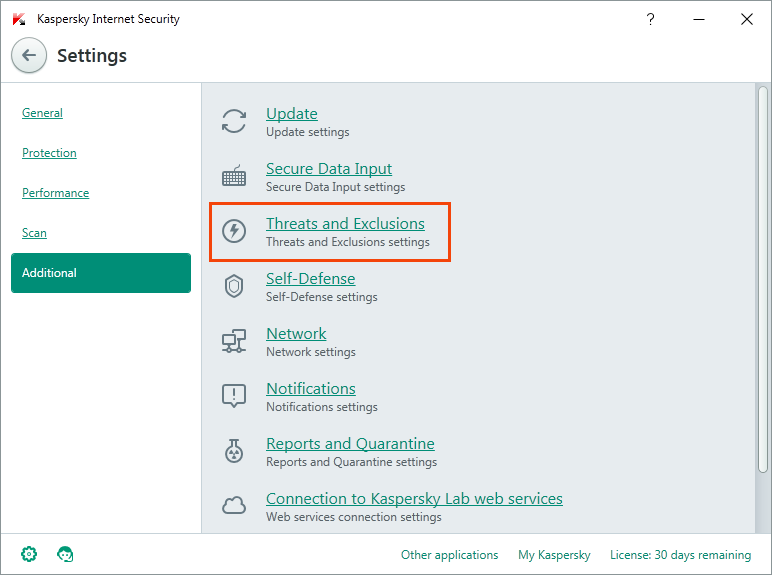 Select the Additional tab and then Threats and Exclusions. On the next window, select Configure exclusions. On the next page, click the Add button. In the File or folder field, type : %AppData%\Dashlane. Leave all the Protection components checked and click Save. 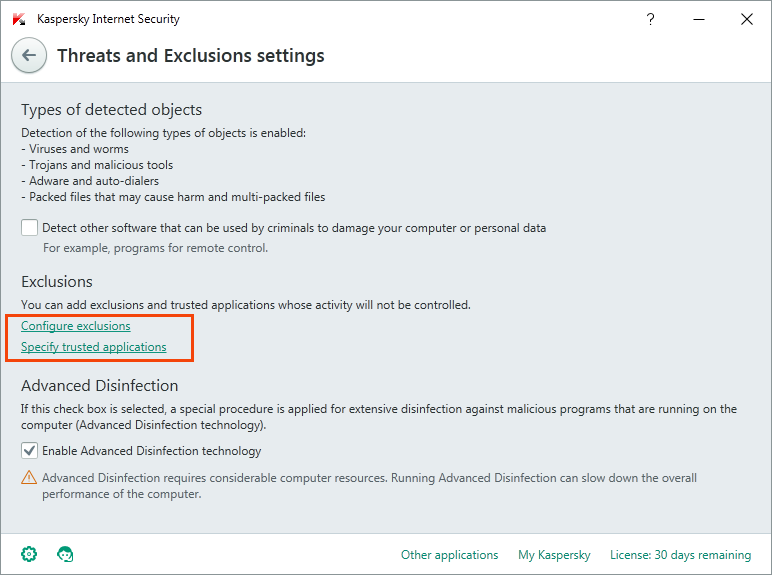 Go back to the Threats and Exclusion settings and select Specify trusted applications (as shown in step 3). Find DashlanePlugin.exe in the Information not available section and click Next. If you can't find it in the list, click Browse at the bottom left of the window and go find it in C:\Users\%Username%\AppData\Roaming\Dashlane. Check Do not scan all traffic as well as Only for specified IP addresses and type 127.0.0.1, 1.0.0.127 in the following field. Then check Only for specified ports and type 11456, 15674, 17896, 21953, 32954 in the field. To finish, click Add. 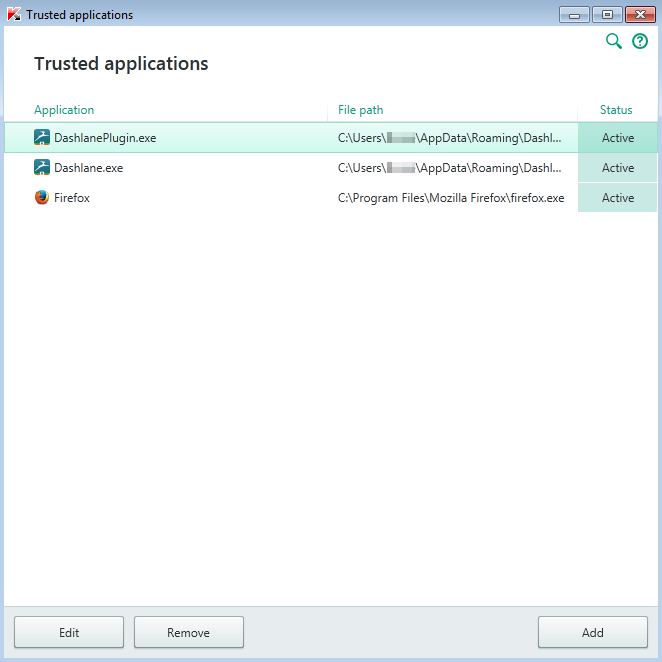 Go back to Trusted applications and repeat the procedure for Dashlane.exe (as shown in steps 6 to 8). Do the same for Firefox.exe and/or Chrome.exe. 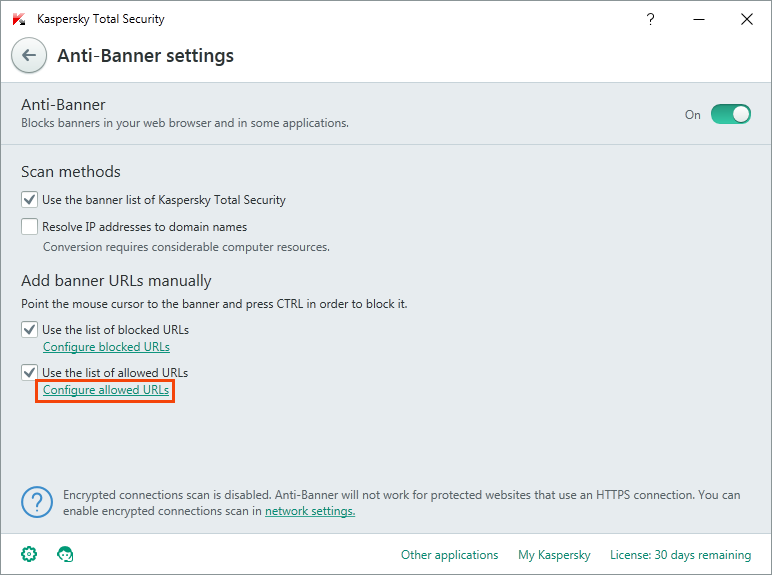 Close Kaspersky and relaunch your browser. If it still doesn't work and if you enabled the Anti-Banner feature, please go back to the settings and select Protection. Then scroll down and click Anti-Banner. 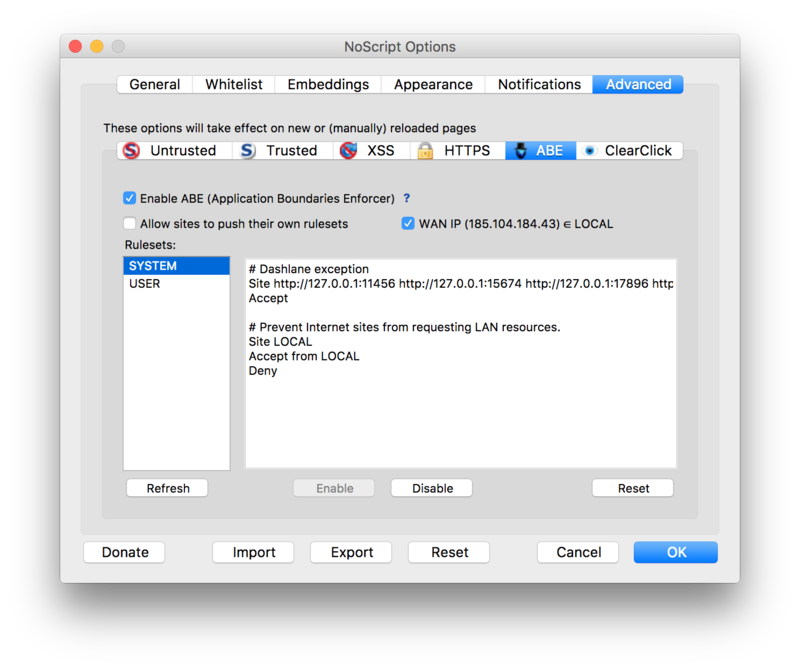 On the following page, please click on Configure allowed URLs. On the next page, click the Add button. Type 127.0.0.1 in the field and click the Add button. Then try restarting your browser again. If it still doesn't work, please go back to the settings and select Additional and click on Network. 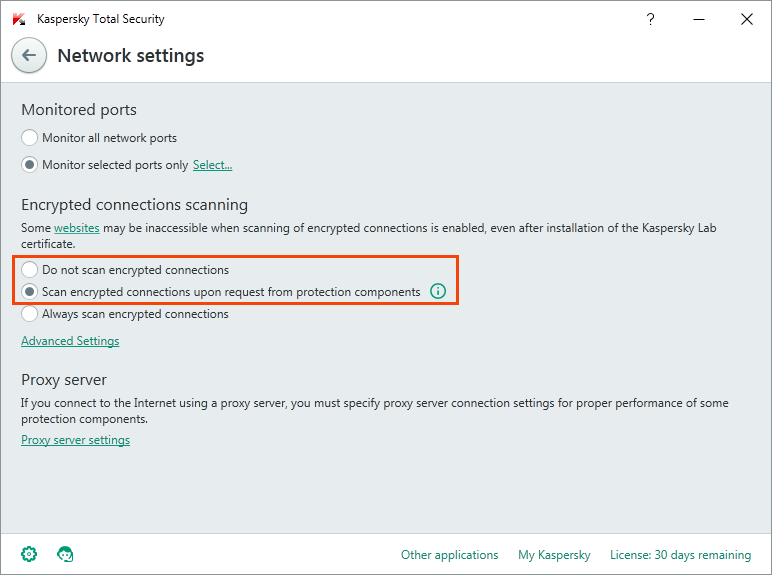 On this page, you need to select either Do not scan encrypted connections or Scan encrypted connections upon request from protection components. Close Kaspersky and restart your browser. The Dashlane extension should now work properly. As we have received a few reports about the NoScript extension (only on Firefox) creating issues with Dashlane when not duly configured, you will find it as a configuration example below. If Dashlane stopped working in Firefox and if NoScript is installed in your browser, please follow the instructions below to add an exception to NoScript and allow Dashlane. Open the settings in NoScript → Options → Advanced → ABE. Lastly, restart your browser and the Dashlane extension will start working.